We have a Scentsy Laundry Liquid discount available when you purchase a 3-pack discount bundle. You can order all one scent, or select your three favorite fragrances to add to your discount multi-pack. When you buy 3 luxury Scentsy Laundry Liquid bottles, you save $1. 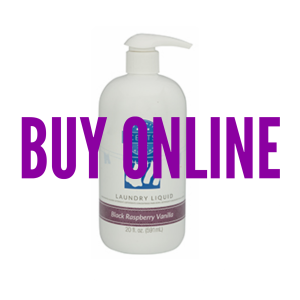 Delight your senses with Scentsy luxury Laundry Liquid. From the purple hills of Provence to the balmy island paradise – exclusive, high-efficiency formulas clean, condition and scent clothes for a remarkable sensory experience that extends far beyond your laundry room. There’s no commitment, so you can cancel or adjust your subscription anytime. Click here to learn more about our VIP program, or to become a member. Does it matter what water temperature I use when using Scentsy Laundry products? No. Scentsy Laundry products are formulated to be effective in all water temperatures. Do Scentsy Laundry products have the same formulas as Layers by Scentsy laundry care products? Yes. The same formulas you and your customers fell in love with have been repackaged in our Scentsy Laundry line for returning products. Our new Clothing Conditioner was developed to meet those same high-quality standards. Are Scentsy Laundry products safe to use in high-efficiency washers and dryers? Yes. Scentsy Laundry products are safe to use in all types of washers and dryers, including high-efficiency, standard, front- and top-loading machines. Are Scentsy Laundry products safe to use with a septic tank? Yes. Scentsy Laundry products are completely water-soluble and safe to use with septic tanks. Are Scentsy Laundry products safe to use on sensitive skin? Only our Fragrance Free Laundry Liquid has been clinically tested for allergies and irritation. People with known, specific fragrance ingredient sensitivities should test on a small patch of skin before using. Are Scentsy Laundry products safe to use with dry-wick and re-retardant clothing? Yes. Scentsy Laundry products do not contain fabric softeners and are safe to use with dry-wick clothing and fire-retardant clothing.